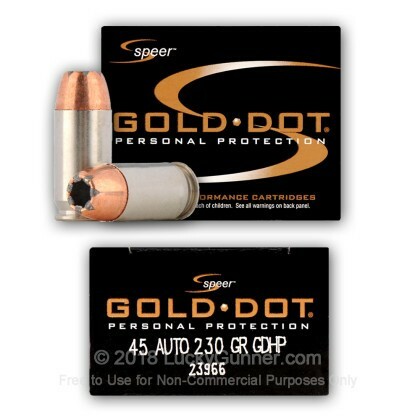 Speer's premium 45 ACP Gold Dot line of JHP defense ammunition is great for personal protection. 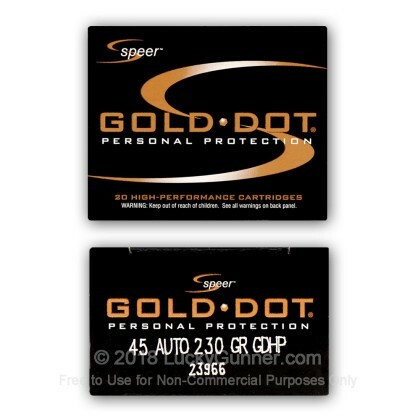 We wanted to know exactly what happens to a self-defense handgun bullet on impact, so following FBI protocols, we fired five rounds of Speer 230 gr Gold Dot from 10 feet, through four layers of cloth (to simulate clothing), into synthetic ballistic gelatin. 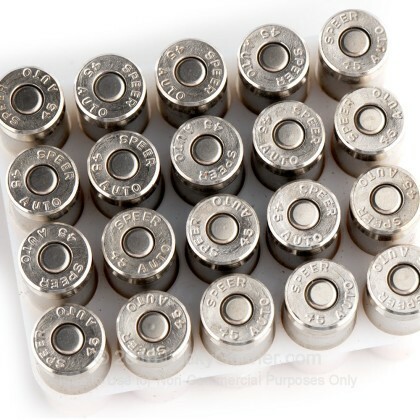 The photos below show the bullets recovered from the gelatin after being fired from a Kahr CW45 pistol. 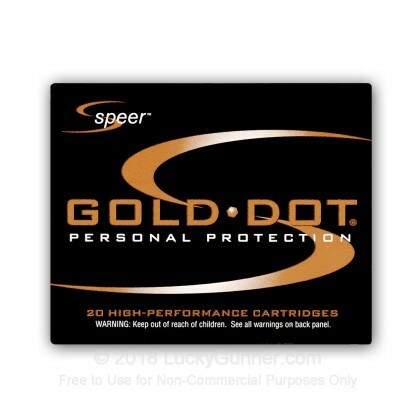 There’s also a high speed video that shows the bullet impacting the gelatin block. 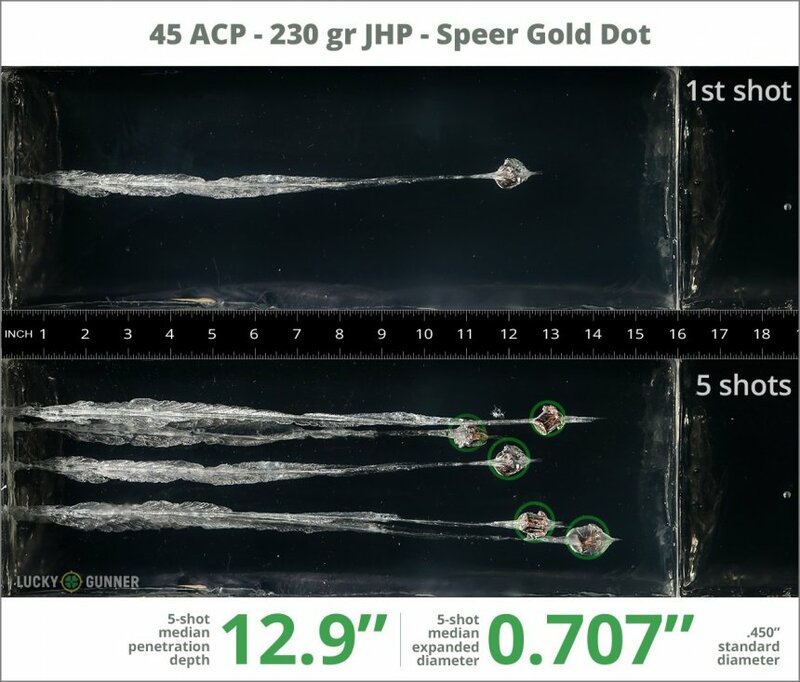 All the data we gathered pertaining to expansion and penetration of this load can be found in the chart below, and the diagrams at the bottom of the page show how it compares to other .45 ACP (Auto) self-defense loads from our tests. 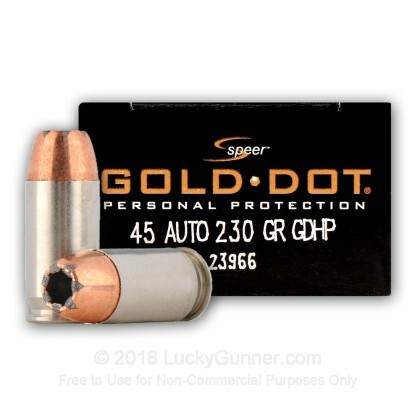 In addition to the .45 ACP (Auto) Speer 230 gr Gold Dot, we tested over 100 other self-defense loads, so check out Lucky Gunner Labs for the full story. 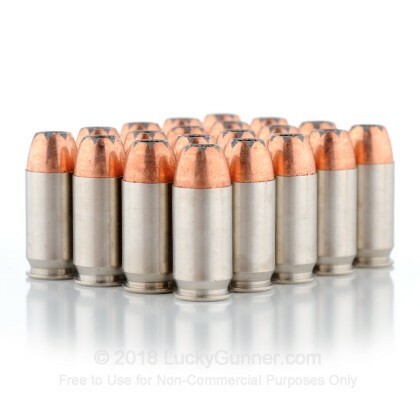 1.04" This ammo: 0.71" Min: 0.45" Median: 0.64" Max: 1.04"
12.9" 0" 8.3" 16.7" 32" This ammo: 12.9" Min: 8.3" Median: 16.7" Max: 32"
The manufacture claims 890 fps with a 5" barrel, however, in several different 1911's with 5" barrels, this round FAILS to meet the velocity performance claim. 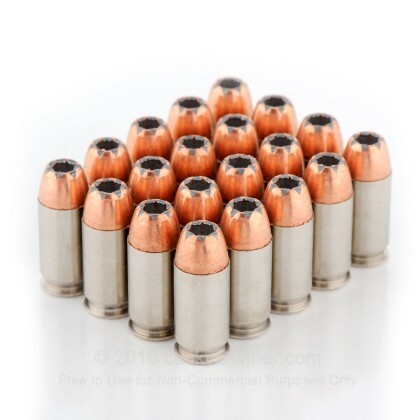 In fact, the average is only about 830 fps. 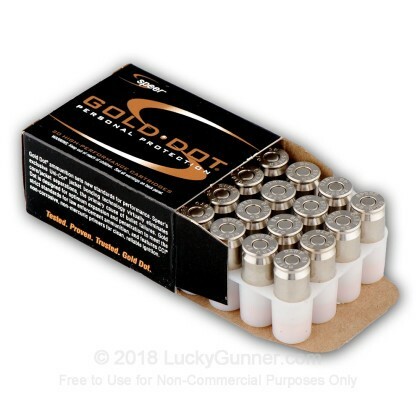 For this lack of velocity, I could just use the cheap white box stuff. 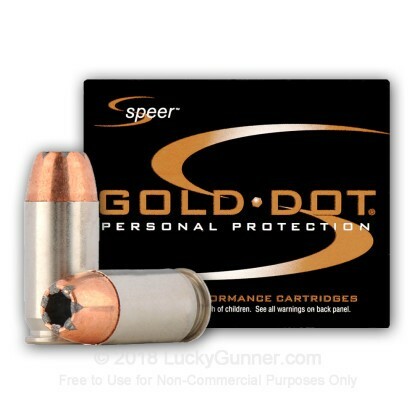 Very disappointing for a major manufacturer of ammo. 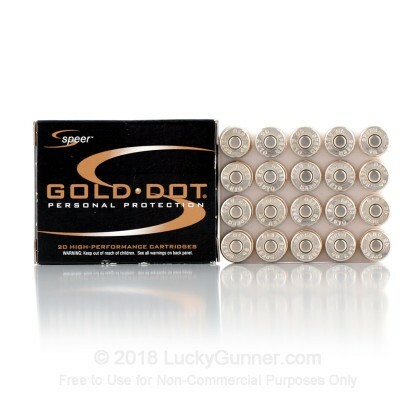 price vs. quality and performance makes this ammo a no brainer. 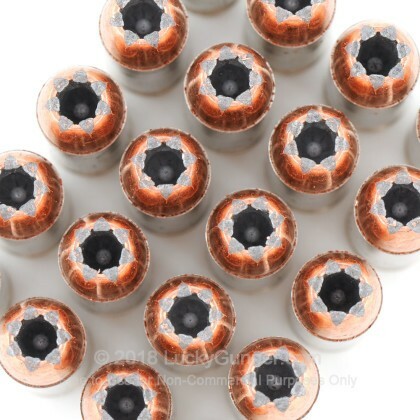 I think it's the best sd ammo.